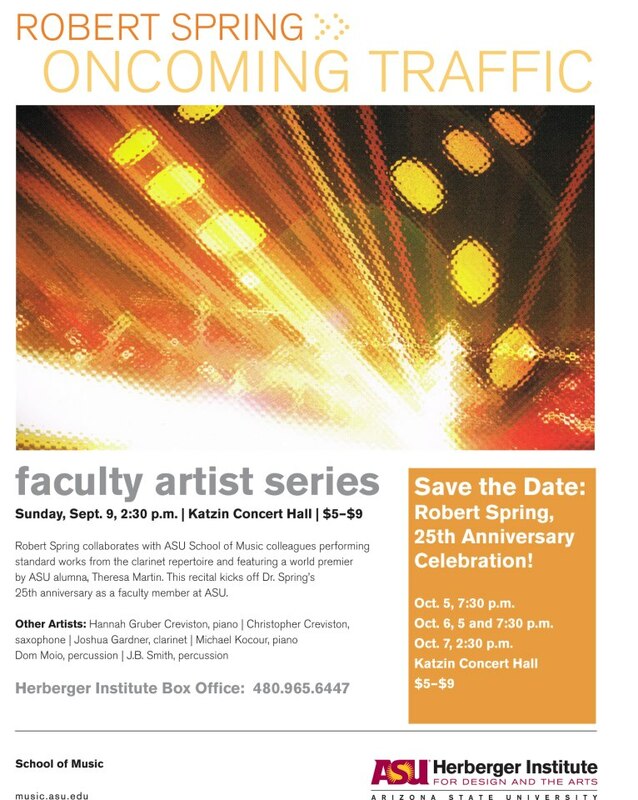 Robert Spring has been described as "one of this country's most sensitive and talented clarinetists", Arizona Republic, "dazzled his audience...flawless technique", The Clarinet Magazine, and "a formidable soloist...played with great emotional life" Copenhagen, Denmark, Politiken. Spring's recording of Grawemeier Award winning composer Joan Tower's works for clarinet was described by The Clarinet Magazine as "truly outstanding....one would be hard pressed to find better performances of contemporary music....first rate music performed with the highest professional standards." The Instrumentalist Magazine says of his recording, "Dragon's Tongue", a CD of virtuoso music for clarinet and wind band, "His musicality and technique make this recording a must for every CD collection." Fanfare Magazine says of the CD, "Tarantelle", music that the famous violinist Jascha Heifetz recorded on violin,being performed on clarinet, "This recording was meant to amaze and, man, it succeeds." The America Record Guide writes about his recent recording of the Copland Clarinet Concerto, "Spring...is fabulous in the Copland. His phrasing is elegant swing tailored with great flow and a spread of tone colors and expressive subtleties. His low and mid-range are especially warm, rich, and embracing and highly effective in the introduction and in the bridge to the jazzy finale. And boy what a finale! The pace is neatly judged to pick up at critical junctures so that, by the end, it feels like an improvised jam session." Spring attended the University of Michigan where he was awarded three degrees, including the Doctor of Musical Arts degree. He was recently awarded the "Citation of Merit Award" from the School of Music Alumni Society. His teachers included John Mohler, David Shifrin and Paul Shaller. Spring has performed as a recitalist or soloist with symphony orchestras and wind bands in the United States, Canada, Europe, Asia and South America, and has been heard in the United States on National Public Radio's, "Performance Today." He frequently serves as clinician and adjudicator and teaches on the faculties of several summer music festivals. He has published numerous articles on multiple articulation and other contemporary clarinet techniques. Spring was President of the International Clarinet Association from 1998-2000 and has performed for twelve International Clarinet Association conventions. He hosted the 1995 International Clarinet Association ClarinetFest at Arizona State University where he is presently Professor of Clarinet. 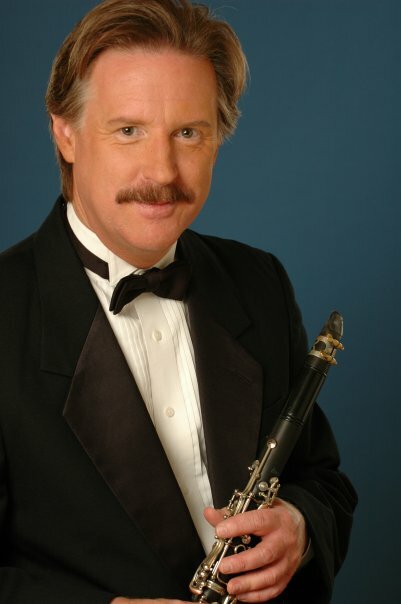 Dr. Spring is also principal clarinet of the ProMusic Chamber Orchestra of Columbus, OH. He is a Buffet Artist, and plays the Buffet Greenline Clarinet exclusively.